Nature recycles everything. From the decay of one organism, another finds life. 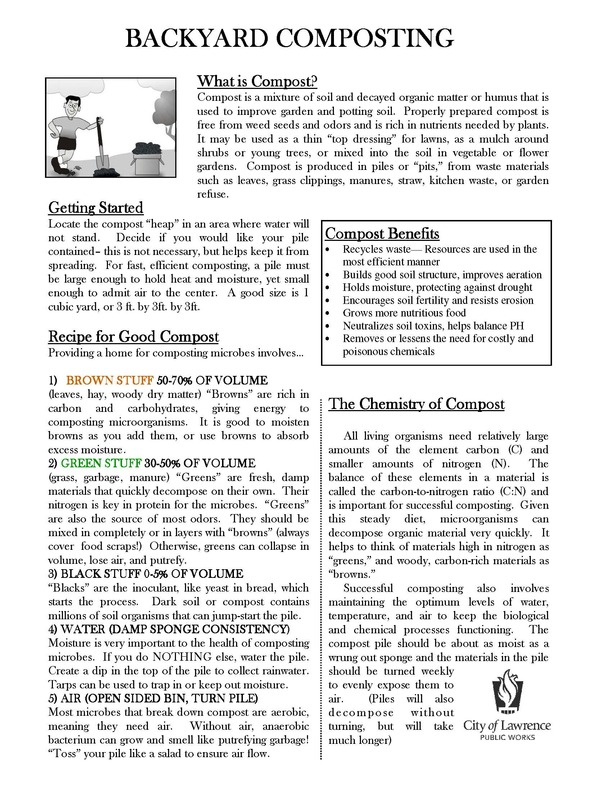 This continual transformation of our world from old to new is what composting specializes in. Truly, it is a very simple process that needs only minimal human maintenance. It is happening everywhere. Successful home composting involves providing the optimum conditions for microbial life to speed up this process. Compost is made by billions of microbes (fungi, bacteria, etc) that digest the yard and kitchen wastes (food) you provide them. Just like humans, these little guys need not only food, but also air and water to survive and eagerly gobble your garbage. The compost pile should be about as moist as a wrung-out sponge and it is nice to turn the materials in the pile weekly to evenly expose them to air. In order to encourage backyard composting of food and yard waste, the City sells compost bins at a discounted rate to Lawrence residents. 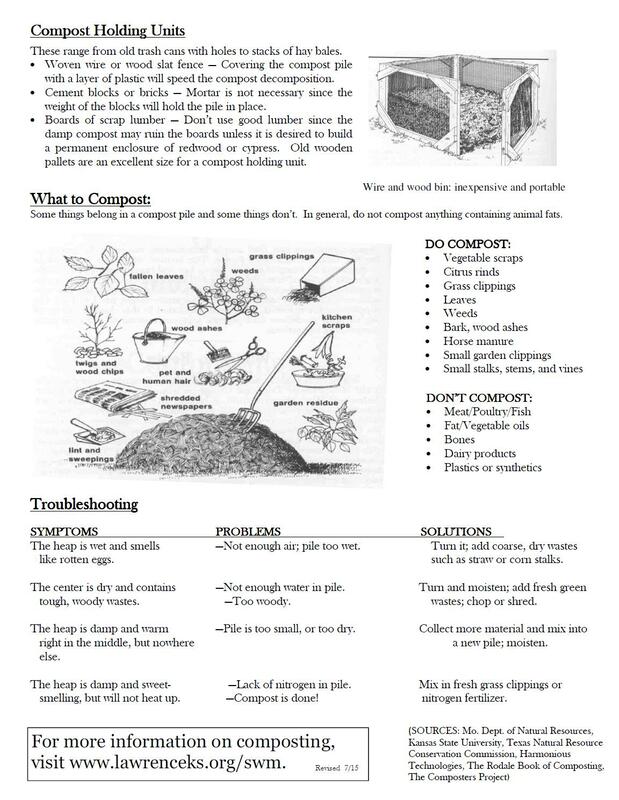 Click here for size and purchasing information for the Earth Machine backyard compost bins. How do I get started and use my compost?